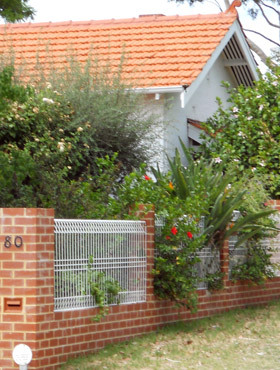 Perth Bed and Breakfast, River Park Accommodation Nedlands offers style, comfort, price, location and those little added extras to make it your ideal home away from home. Located just minutes from the CBD, River Park Accommodation is the perfect bed and breakfast for your Perth stay. River Park Accommodation provides the perfect base for easy access to many Perth attractions. Beautiful King’s Park is a pleasant stroll away, and showcases some of Western Australia’s unique flora and fauna. Stroll along the river, or enjoy an evening out in Perth's Hampden Road entertainment precinct, just a five minute walk away. Take a drive down to nearby Fremantle or take in the coast – both less than twenty minutes from our Perth bed and breakfast. Our Nedlands location is ideally located near Hollywood Hospital; Sir Charles Gairdner Hospital (within the Queen Elizabeth II Medical Centre); Perth Children's Hospital; and the University of Western Australia Crawley Campus. With all the personal touches and comforts of home, our Perth Bed and Breakfast is the perfect option for visiting academics and medicos. With a truly personal touch along with inside local knowledge, staff are at your service to help make your stay what you expect and deserve. It’s the little extras that set our B&B apart. Park your car FREE and make use of the private entrance through the garden, as well as a private living room and television. Start your day right with a healthy and filling continental-style breakfast of fruit, cereal, toast and croissants, plus fresh tea and coffee provided. Take advantage of our free Wi-Fi. And for a small fee we can arrange an airport pickup, dry cleaning and laundry as well. It’s the little things that count. Book your stay today at Perth’s best bed and breakfast. Your Perth home away from home. Private entrance through the garden with private living room and television also. Continental-style breakfast of fruit, cereal, toast and croissants, plus fresh tea and coffee provided. In-room tea and coffee making facilities. Copyright © 2015 River Park Accommodation. All rights reserved.